Streep began her speech by saying that she had “lost her voice” and “mind sometimes earlier this year” so she would like to read from a written speech. She echoed Hugh Laurie’s comment about how the Hollywood Foreign Press Association is part of “the most vilified segments in American society right now”, Streep said the association was made of—Hollywood, foreigners and the press. “But who are we and what is Hollywood, anyway? It is just a place with a bunch of people from other places,” Streep said, adding she was raised in New Jersey while Sarah Paulson, Sarah Jessica Parker, Amy Adams, Natalie Portman, Ruth Negga, Viola Davis, Dev Patel and Ryan Reynolds were all born in different places. “Where are their birth certificates? Hollywood is crawling with outsiders and foreigners, and if you kick us all out, you’ll have nothing to watch except for football and mixed martial arts, which are not arts,” she said. The multiple award-winning actress, who is one of the most respected names in Hollywood, said the “performance” that stood out this year did not belong to an actor but to Trump when he publicly mocked a disabled reporter. “There was nothing good about it, but it did its job. It kind of broke my heart when I saw it, and I still can’t get it out my head because it wasn’t in a movie, it was in real life. 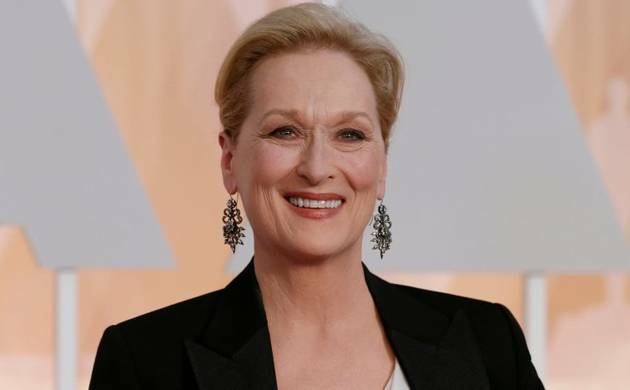 That instinct to humiliate when it’s modeled by someone in a public platform, it filters down into everyone’s life because it gives permission for others to do the same,” Streep cautioned. The actress urged the press to stand up to Trump. “We need the principled press to hold power to account, to call them on the carpet for every outrage ... We’re going to need them going forward and they’re going to need us to safeguard the truth,” she said of journalists. Davis began her speech by saying Streep “stares” and that’s the first thing one notices about her. She also tilts her head back with a “sly suspicious smile” and “she stares for a long time”, making one think that they have something on their teeth, Davis said amid laughs from the audience and Streep. “Her artistry reminds us of the impact of what it means to be an artist, which is to make us feel less alone. You make me proud to be an artist. You make me feel that what I have in me my body, my face, my age is enough,” Davis said while paying a glowing tribute to her “The Doubt” co-star.